In order to ensure the safety and comfort of infants, it is advisable to buy special car seats for them. You can find various types of car seats for infants in the market including rear-facing seats, convertible seats, and 3-in-2 seats etc. Some of the best infant car seats reviewed by us have enabled us to write this article for you. Convertible infant car seats: These car seats can be used rear facing for infants as well as a front facing for toddlers, according to their age and height. They can be suitable for babies up to 57-inch height and 40-80 pounds in weight. 3-in-1 car seats for kids: The car seats of this type can be used for infants as rear-facing seats as well as the front facing seats with a high back booster or backless. 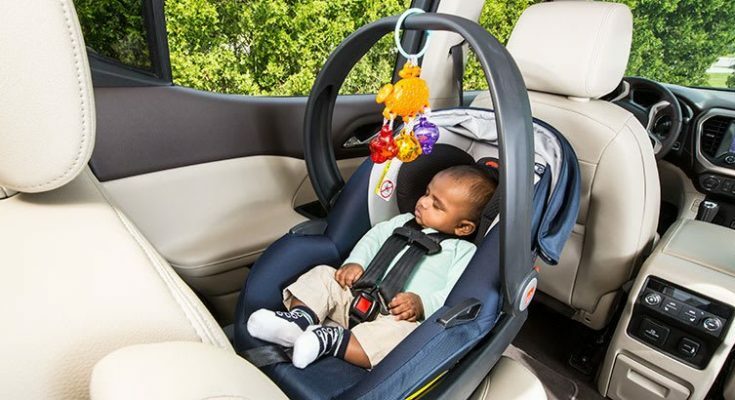 They can accommodate babies weighing 5-50 pounds in the rear-facing position, 20-80 pounds with harness in front facing position and 100-120 pounds and up to 57 inches high with a high back booster or backless in front facing position. Safety of the infant is the most important reason to buy an infant car seat than other models. Though other models including convertible and 3-in1 seats can also adjust infants conveniently still rear-facing infant seats are considered the best for the safety of babies less than 20 pounds in weight. An infant may not be safe and comfortable with the harness straps used in convertible seats for this purpose. These straps may not properly tighten the baby in the seat as they can be too long for this purpose. Similarly, a very high position of harness slots can also obstruct in keeping the infant safe in the seat. A rear-facing infant seat can provide proper protection to the baby with the help of its harness shoulder straps. While choosing an infant car seat you will have to focus on the following tips. Convenience: Your infant car seat should be convenient and lightweight to carry. Rear-facing infant car seats are lighter in weight and smaller in size than convertible and 3-in-1 seats. They can be snapped in and out easily of your stroller as well as the base installed in your car which makes it easy to shift the baby from one place to other without disturbing him. Protection: Rear-facing car seats can ensure the protection of your infant in case of any mishap as it keeps them at an angle of 30-45 degree so that they can breathe in safely in any condition. This level of protection cannot be possible with other car seats as they cover lots of space when installed in this position. Moreover, they can also be inconvenient for the co-passengers or driver of the car. Thus, rear-facing car seats can be the best choice for infants until they do not need boosters.